Jewish Free Press, April 5, 2001, pp. 20-21. The Jewish religious leadership was facing a baffling quandary. The pilgrims had gathered for Passover, eager to partake in the festival sacrifice. This was a celebration that had been observed in the Jerusalem Temple every Spring for hundreds of years. And yet on this occasion the community seemed paralyzed by indecision. What made this particular Passover different was the fact that it began on a Saturday night. In normal years, when the day preceding the holiday was a weekday, the preparation of the lamb for the seder was a relatively straightforward matter. However, this year no one seemed certain how to deal with the Torah's severe restrictions against cooking, slaughtering, kindling and many other activities that were required for the preparation. The elders of Beteira, who held the position of leadership at the time, were unable to arrive at a solution. Someone informed the elders, with no small degree of skepticism, about a certain immigrant, recently arrived from Babylonia, who claimed to have the answer. This unknown newcomer, Hillel by name, claimed to have studied with the foremost teachers of the previous generation. Desperate to resolve the issue, the elders consented to hear him out. In a dazzling display of scholarly erudition, Hillel began to heap proof upon proof to show that the preparation of the sacrifice overrides the Sabbath prohibitions. He pointed out that the daily Tamid offerings in the Temple were burned even on Saturdays, as were the Additional (Musaf) offerings of the Sabbath or of any festival that happened to occur on the Sabbath. Hillel went on to argue that the Passover had an even greater claim to supersede the Sabbath restrictions, since failure to bring the sacrifice carried with it the severe penalty of karet, premature death by divine agency. Hillel also pointed out that the Torah itself (Numbers 9:2) had placed special stress on the obligation to "keep the Passover at its appointed time"--thereby indicating that it should not be cancelled or rescheduled. The above story was recorded in several different versions in talmudic literature, and it is generally regarded as a milestone in the history of Jewish tradition. The development of Judaism from the beginnings of the Second Temple until Hillel's time is shrouded in obscurity, and only a handful of sages from that era have survived in rabbinic recollection. It is with Hillel that we begin the new age of intensive scholarly activity that will culminate in the publication of the Mishnah and the Talmuds. In this report about how Hillel proved that the Passover sacrifice overrides the Sabbath, we find the earliest mention of the systematic methods for deriving new teachings from biblical texts. These methods, known as Midrash, would afterwards become defining features of Jewish religious discourse. Interestingly, the Jerusalem Talmud reports that Hillel's audience was not all that impressed by his scholarly pyrotechnics. They were able to refute all his logical and textual proofs, and concluded dismissively that his performance only reinforced the low expectations they had from a Babylonian greenhorn. In the end, Hillel had to appeal to traditional authority, asserting that he had received his ruling from his eminent teachers, Shemayah and Avtalion. It was this reliance on tradition that eventually clinched the matter, and led to Hillel's immediate appointment to the position of Nasi, the head of the academy. One problem that troubled the later rabbis as they pondered this story was the question of how it was possible that, among the thousands of Passover pilgrims who had assembled for the holiday, there could not be found a single person who remembered what had been done the last time Passover followed Shabbat. Although such occurrences are relatively infrequent (there were, for example, none between 1994 and 2001), somebody must have recalled how they dealt with the situation the last time it happened. The Talmud ascribes this enigma to supernatural intervention: God caused the people to forget in order to make Hillel's achievement appear more impressive, and to facilitate his rapid rise to leadership. Recent developments in history and archeology suggest some other ways to explain the circumstances of Hillel's pronouncement about when Passover falls after Shabbat. A very interesting point of comparison is provided by the Dead Sea Scrolls, many of which were composed close to Hillel's lifetime. The scrolls, evidently authored by followers of the Essene sect, advocate a very different calendar from the one currently followed by mainstream Judaism. In their 364-day solar calendar, holidays fall on the same day of the week every year. Passover can occur only on Wednesday, rendering Hillel's problem an impossibility. We have seen that Hillel's Babylonian origins were alluded to repeatedly in the talmudic accounts, usually in a sarcastic or demeaning way. In fact, our 354-day lunar calendric cycle is virtually identical to the ancient Babylonian system. 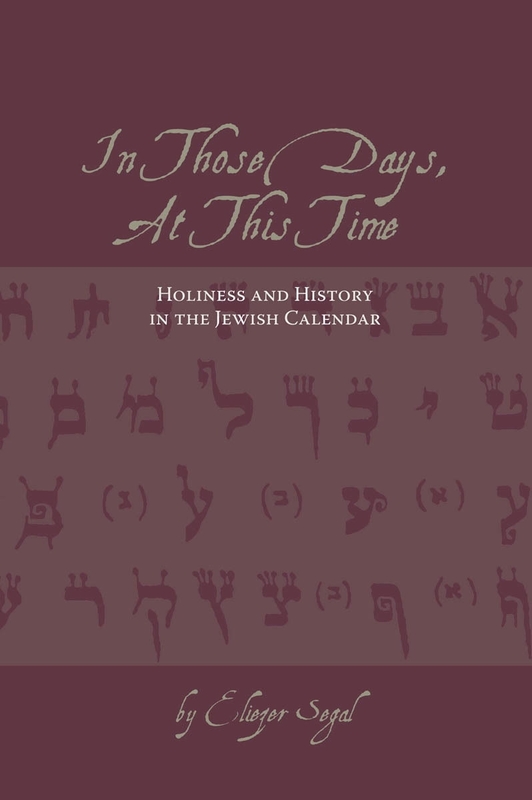 It therefore makes sense that opponents of our Pharisaic-Rabbinic method of time-reckoning would try to emphasize Hillel's foreign origins, as a way of ridiculing the calendar that he advocated. It should be noted as well that Dead Sea religious law generally tried to avoid conflicts or incompatabilities between different commandments. In this respect they differed from the talmudic sages, who derived special intellectual satisfaction from devising unlikely cases in which they would have to sort out conflicting legal priorities. Thus, to take one example, Hillel's reliance on the precedent of the Tamid offering, in order to deduce that the Passover lamb is prepared even on the Sabbath, would have made no sense to an Essene, since their system did not allow the Tamid to be offered on Shabbat in the first place. It is possible, therefore, that the rare occurrence of Passover on a Saturday night, and the halakhic complications that it occasioned, were seized upon by champions of the Dead Sea calendar as powerful propaganda against the calendar system followed by the majority of Jews. If this hypothesis is correct, then the problem dealt with by Hillel takes on much greater significance. It was not simply a matter of a memory lapse, or even of deciding between two opposing legal priorities. What might have taken place was a major confrontation between two Jewish sects, each representing a distinct attitude towards religious authority, scriptural interpretation and spiritual values. Hillel was being called upon to defend the coherence of the Pharisaic oral tradition by demonstrating that it was based on an intelligent reading of the relevant verses from the Torah. Although this reconstruction of the event is purely speculative, it accounts for several of the most mystifying details in the story. Above all, it provides a more satisfying explanation for why Hillel's achievement was considered so important that it led to his installation as Nasi of Israel. In the end, in arguing that the Passover lamb could be prepared on the Sabbath, Hillel was acting as an eloquent spokesman for the entire Jewish ancestral tradition. A century or so after this fateful confrontation, the Jerusalem Temple lay in ruins and the sacrifices could not be offered. Neither the Sadducees nor the Essenes were able to adapt to the new reality, and neither group was heard from again. However, the Pharisees did survive; and that their successors, the talmudic rabbis, succeeded in adapting Jewish tradition to the changing times. The fact that they were able to do so was due in no small part to the solid foundations that had been laid by a Babylonian Jewish immigrant named Hillel.